1. A Friday afternoon play-date where the kids had a blast and the adults enjoyed a beer (or 2). We all decided we should do that again more often! 3. A family bike ride on the Loantaka Brook Bike Path. Zoe is amazing without her training wheels... and thank goodness Ana still (just barely) fits in the bike seat on my bike. 5. 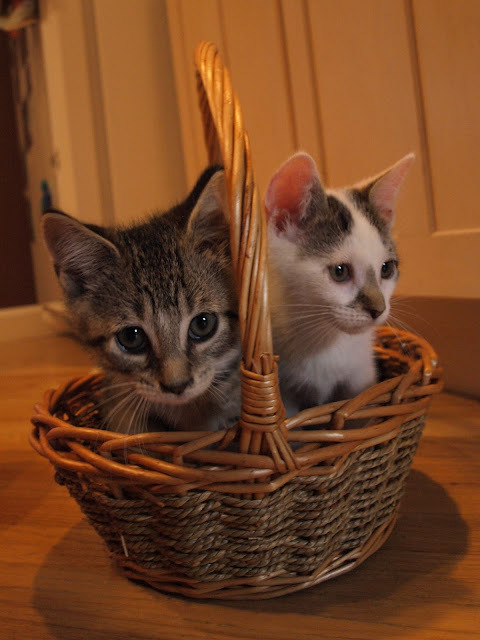 Kitties in a basket. I don't know that it gets cuter than kitties in a basket.